Originating in Persia and the Middle Eastern countries, pomegranates have one of the longest history of use by humankind of the fruits we know. Suited to a wide range of soils as long as they have good drainage, they are a very hardy and decorative tree. 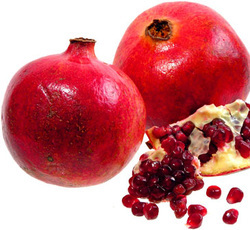 Pomegranates are easily grown from hardwood cuttings taken during winter when the tree is dormant. Such cuttings can be easily sent through the mail in an airtight plastic bag with a minimum amount of moisture (couple of drops water) inside. Collison, Elche and Jativa are recomended varieties on the Agnote Pomegranates for the home garden by R W Bell, 1985. We would be happy to hear of anyone who knows of these varieties still growing.